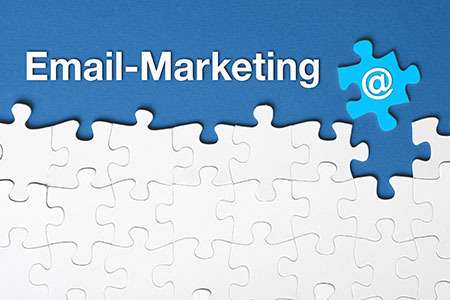 There is no doubt about it – email marketing is one of the most profitable tactics in use by companies today. Unlike other efforts, email provides a direct line of contact from your business to consumers. The costs to reach and maintain a connection with leads through e-mail marketing is significantly less than through many traditional channels, and if done properly, the returns can be significantly more. Regretfully though, many companies fail to properly manage their campaigns – they simply get users to join their lists and then assault them with a barrage of marketing messages lacking in purpose. True success with e-mail marketing is dependent on developing a clear-cut plan that will ensure the long-term success of your efforts. Which links did they click? How did they engage with your website? By analyzing the basic data provided by most analytical service you can easily segment your marketing list in order to establish the most effective marketing channels and approaches. Figuring out which tactics and lead sources work, and which ones don’t, can save your marketing department significant time and money over the long run as data and trends become more defined. Another common mistake made by some marketers is that they spent too much time marketing to the recipients on their lists, and not enough focusing on growing it. It’s crucial for any campaign to develop marketing funnels which guide leads from one point to another, and the most profitable funnels can only be created through split testing and data segmentation, but you must be constantly be bringing new potential customers into your funnels in order to gather any data in the first place. Nothing will replace data analysis and funnel development, but make sure you’re not losing focus on the core concept of creating a steady stream of new consumers. You may have developed your sales funnels to convert 99% of the time, but this means nothing without new leads to put into it. The key to growing your list steadily over time, rather than constantly churning through new leads and losing old ones, is to keep your recipients engaged. Most marketing efforts won’t convert a lead to a sale overnight – it takes steady and consistent marketing. If you’re not keeping your leads engaged, you’re likely letting a large amount of revenue fall through the cracks. Don’t fool yourself into thinking that most of the work is done once you acquire an email address. Keeping your company in the forefront of the consumer’s mind is crucial to growing a lasting relationship between them and your business. Email marketing is a powerful tool available to businesses of any size, but it can do little more than waste time and distance consumers from your brand if not handled properly. Luckily, through developing a better understanding of the process and developing a solid strategy, the benefits can be substantial. By continuously growing your list, establishing proven marketing funnels and keeping your user base engaged, email marketing can provide enormous returns on even the smallest time and financial investments.